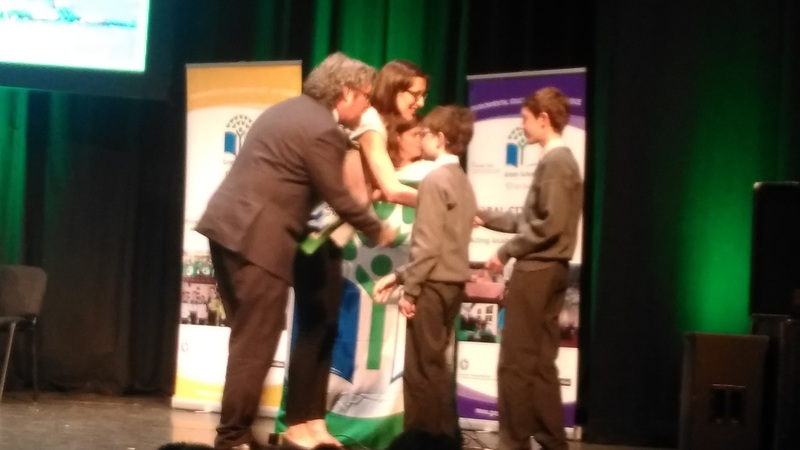 ​A huge congratulations to all the pupils involved in the Green Schools Committee over the past two years as all their hard work- as well as that of all the staff, pupils and parents of the school- has been rewarded with the presentation of our seventh Green Flag on the 24th May in the Helix. This Green Flag, which was for Global Citizenship- Litter and Waste, means that we are one of the top environmental schools in Ireland!!! Thanks to David and Darragh, our sixth class committee members, who traveled to Dublin to pick up the award and well done everyone!